Put confidence back into your smile! The closest thing to your own natural teeth! Dental implants are one of the best ways to replace missing teeth. They take the place of the complete tooth – from root to crown. This gives you one of the most realistic-looking and natural-feeling restorative dentistry experiences there is.  Post – The titanium post is placed in your bone and once integrated, it becomes your new tooth root. Abutment – This attaches to the post and provides the base for your crown restoration. Crown – With the skills of a master craftsman, our expert Burke cosmetic dentist Dr. McMillan will create a new crown restoration that will blend in beautifully with your natural teeth. Dental implants don’t require any modification to surrounding healthy teeth that some other restorative treatments need. From root to crown, your dental implant will look, feel, and function like a natural tooth. Dr. McMillan is highly trained in both the placement and restoration of dental implants. No need to go to an outside specialist – we do it all! Implants are made of durable materials which are not subject to decay. With proper routine maintenance, implants will last for decades! When you lose a tooth, the underlying bone begins to deteriorate. Dental implants help you retain a healthy and strong foundation for your teeth. Missing teeth and bone can cause a wrinkled, “sunk-in” appearance to your face. Implants provide facial muscle support that lets you keep your youthful appearance! 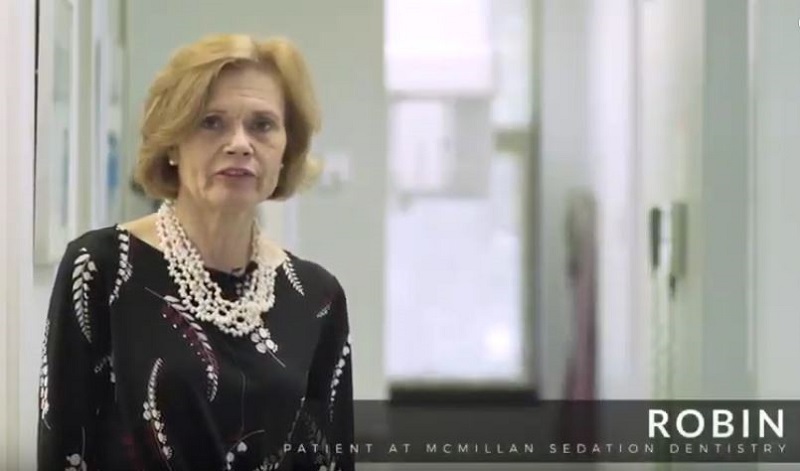 Dr. McMillan is fantastic. He fully explains everything about a procedure before it's done. He's vigilant about your pain threshold and clearly wants you to be as comfortable as possible. His staff of professionals are engaging, considerate, and as compassionate as he is. Why Choose Dr. McMillan for Your Dental Implants Treatment? “Right from the get-go, I was impressed!” Robin shares her dental implants experience with Dr. McMillan. You want to feel confident about the dentist you entrust with your dental implants treatment. We understand! Dental implants are a complex procedure that requires skill, specialized training, advanced education, and experience. In an effort to provide his patients with the best dental implants treatment possible, Dr. Alex McMillian has dedicated himself to continuing education that lets him do both the surgical placement of implants and the cosmetic restoration treatment. Your entire dental implants procedure, from start to finish, is done by him. Get the answers from our Burke dentist. No more than any other dental procedure. The surgical placement of the dental implant post is done while you are either sedated or anesthetized so you will feel nothing during treatment. Additionally, we’ve found that many of our patients require only over-the-counter medication to remain comfortable post-surgery. For those who experience dental anxiety, we offer sedation dentistry options to keep you relaxed throughout your treatment. Your comfort is always our number one priority! Are implants better than a bridge? That depends on your individual circumstances. For some, a bridge would be the best option. Where implants are an option though, we would definitely recommend choosing them over a bridge. Implants are more conservative than a bridge since they are a stand-alone solution and you don’t need to modify surrounding teeth to place them. Also, implants normally last longer than a bridge so you can have less cost involved with upkeep and replacement. 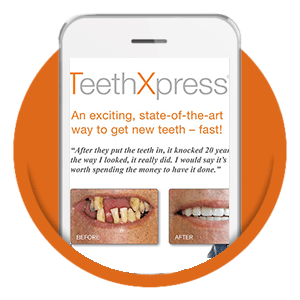 It’s true that dental implants are one of the more expensive restorative treatments available when it comes to initial cost. An average implant procedure can cost around $4,500. But, implants will actually save you money in the long run. Dentures and bridges must be periodically updated and maintained, adding ongoing costs to your initial investment. However, implants are designed to last, and with the proper care, can last for decades. Dental implants are a good option for people of all ages with good oral health and sufficient healthy bone for dental implant placement. If you are considering dental implants, talk with Dr. McMillan about your options. After a thorough exam, he will be able to tell you whether implants are a good option for your particular circumstance. Eat, Laugh, and Speak with Full Confidence Again! Call us and let's talk about what dental implants could do for your smile!